We have a great deal on the Soundjump Bluetooth Speaker in our deals store today, you can save 33% off the regular price. The Soundjump Bluetooth Speaker nornmally costs $149.99 and you can get it for just $99.99 in our deals store. 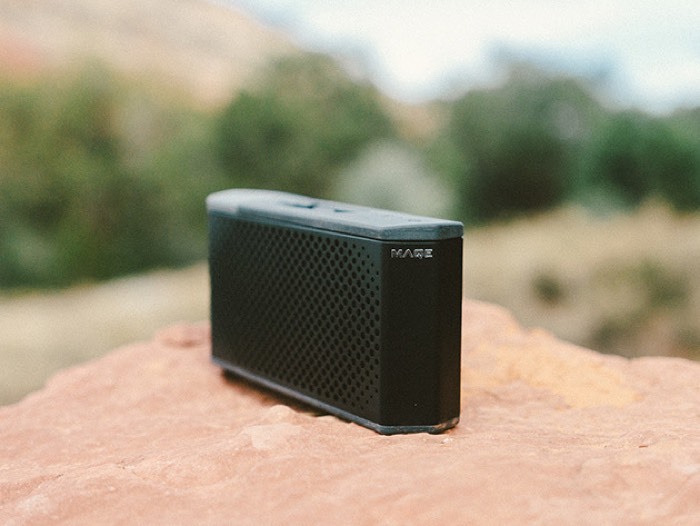 Next time you take a trip or go for a hike, make room in your bag for the Soundjump Bluetooth Speaker. This powerful, portable Bluetooth speaker is equipped with dual custom 45mm full range drivers to deliver incredible sound, wherever you are. Better yet, with a removable battery to use as an on-the-go powerbank, you can listen for longer without recharging. You can find out more details on the Soundjump Bluetooth Speaker over at our deals store at the link below.